From Chalet Very Joly, you can start skiing from Hauteluce or Les Contamines. Situated on the Tour du Mont-Blanc, Les Contamines hides a surprising amount of ski terrain behind a relatively small village. Highest lift, 2500m. Vertical drop, 1336m. Total pistes: 120km. Nursery areas, 2. Pistes: Beg, 17. Inter, 10. Adv, 10. Gondolas, 4. Chairs, 9. Drags, 11. Parks, 3. The “Espace Diamant”: 192 kilometres of pleasurable skiing between the Beaufortain and the the Arly valley. Ski from resort to resort, from Les Saisies to Hauteluce, Flumet, Crest voland, Notre dame de Bellecombe and Praz sur Arly. 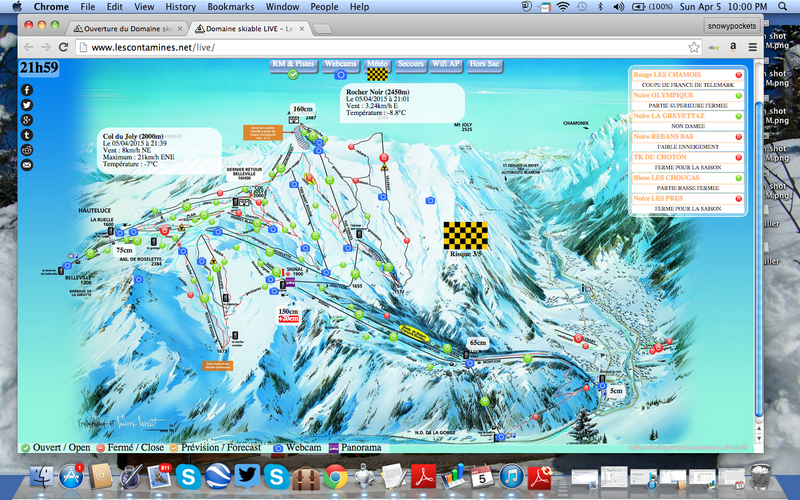 Les Saisies ski area: 77 kilometres of slopes for every level of skier, from beginners to advanced. - Bellasta 6 seats chairlift has created 3 news slopes (2 reds and 1 blue) after Douce skiing area in direction of Le col du Véry, jus above Chalet Very Joly :). Les Saisies (alpine) : from December 18th to April 24th 2015. Espace Diamant (alpine) : from December 20th to April 10th 2015.